"Since 2012, Datamax has achieved a 91.9 Net Promoter Score® reflecting customer willingness to recommend our capabilities to their colleagues or friends." Datamax is a single-source technology partner for office equipment, print management, document management, and network management solutions. Our approach concentrates on identifying corporate objectives, researching relevant technical options and providing unbiased recommendations that align business goals with technology. We streamline business workflows, improve user productivity, and maximize the return on technology investment. Most importantly, we responsively deliver what we declare in the pursuit of Creating Raving Fans®. Datamax’s success, experience, and reputation for service excellence led to dynamic expansion into Little Rock, Arkansas in 1983, Dallas/Fort Worth, Texas in 1990, and Hot Springs, Arkansas in 1995, and East Texas (Tyler, Longview, and Lufkin) in 2018. Anticipating the ever-increasing integration of office and information technology, Datamax invested in the formation and development of its Texas-based Information Systems Group in 1998. Shortly afterwards, Datamax acquired Micro Computer Technologies of Arkansas in 2000, further bolstering its IT professional services expertise and capabilities. These organizational enhancements set the foundation for delivering a uniquely envisioned “total solution approach” to technology management. Over the years, Datamax has forged strategic alliances with an elite group of industry-leading office and information technology partners. (i.e. Canon, Konica Minolta, Lexmark, Microsoft, Laserfiche, et. al.) Such alliances increased the depth of Datamax’s coordinated technology portfolio, enabling the ability to develop and deliver powerful solutions that address a wide array of business challenges. We combine the power of self-funded leasing, service, and support of network integrated products and workflow solutions, remote network monitoring, partnership-driven customer service, and installation and support, which allows our clients to perform at higher rates of efficiency while controlling expenses. In the end, we empower our clients with the freedom to focus on managing their business—not their technology. 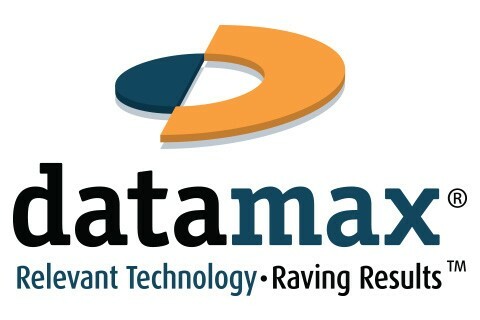 To learn more about Datamax, its thought process, and “Raving Fan” approach to technology, please visit us at https://www.datamaxarkansas.com/creating-raving-fans. Datamax also holds the distinction of being awarded Best Places to Work in Arkansas for 2017 and for 2018 by Arkansas Business and Best Companies Group.